“All of a sudden a swarm of butterflies came in. You know those white and yellow butterflies, they were so many, and he found himself in the middle of the butterflies, the sun lit up from behind and all the butterflies were illuminated and whirled around him. They were spinning, fast, it was beautiful, and he got stuck, probably he was a little scared, “what’s going on?”. And the butterflies, too, almost stopped in the air around him. He moved and the butterflies followed him, he ran a little to the right and the butterflies behind, he ran a little to the left and the butterflies always there. Then he stopped, the butterflies swirled and disappeared. We were there like two cuckooes in the middle of the lawn, he couldn’t talk, we just looked at each other, like: “Did you see what just happened?”. The performance “The building of love” started its Swiss tour: Bellinzona, Locarno and Manno. 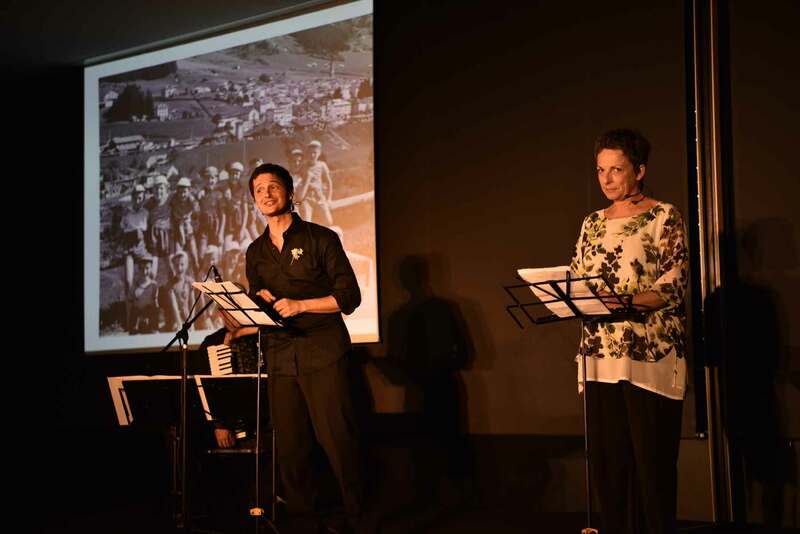 Staged by professional actors Alberto Pagliarino and Antonella Enrietto and directed by Alessandra Rossi Ghiglione, it tells the centenary history of the OTAF Foundation. The stories of its different protagonists and of the surrounding territory have been collected through interviews with families, guests, operators, directors and managers by the SCT team throughout the project Albergo della luce. Info and booking: giuseppe.mimmo@otaf.ch – 091 985 33 85.